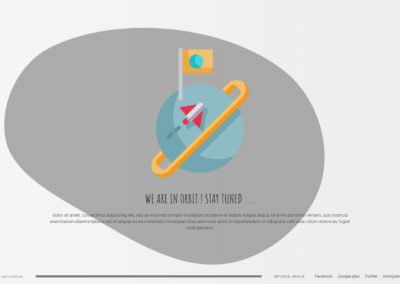 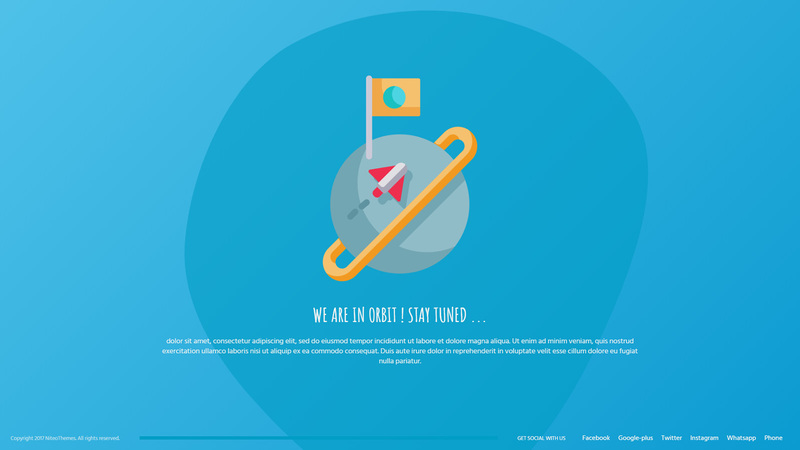 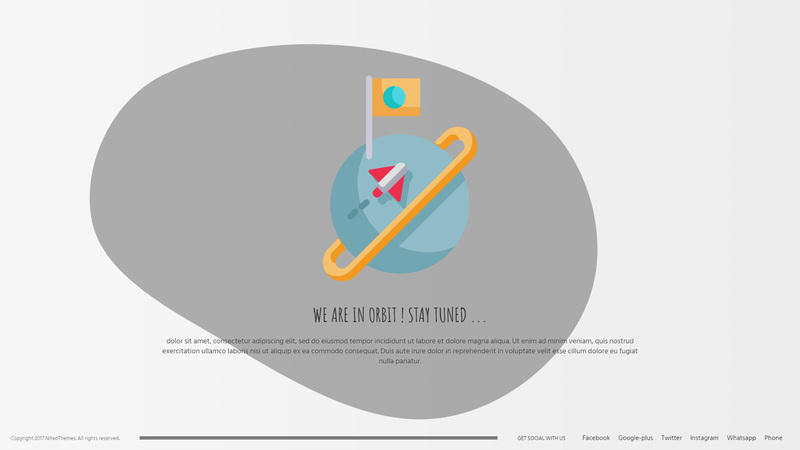 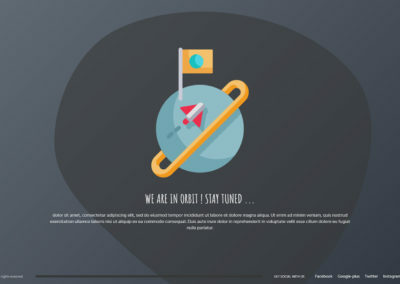 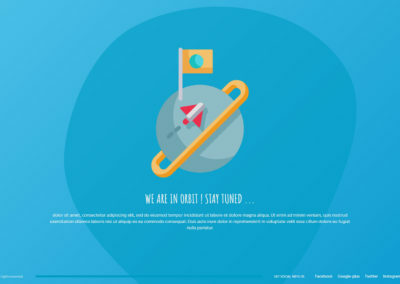 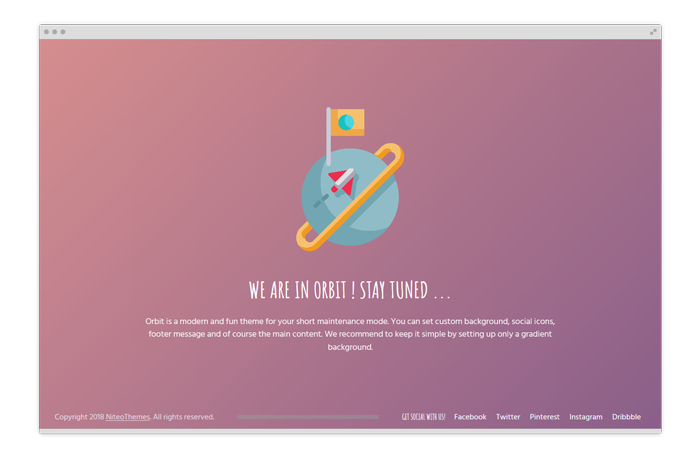 CMP Orbit is a modern and fun free theme for your short maintenance mode. 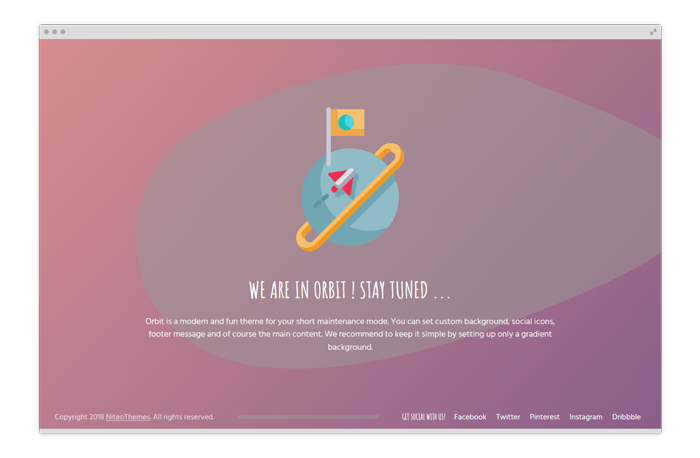 You can set custom background, social icons, footer message and of course the main content. 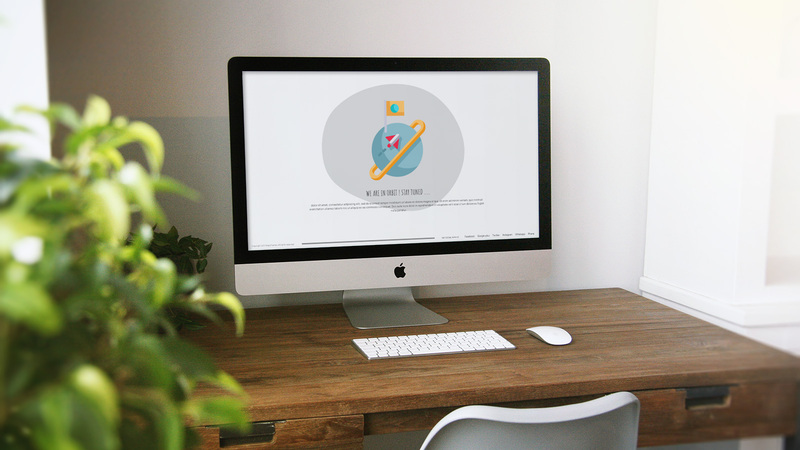 We recommend to keep it simple by setting up only a gradient background.